Zulekha Hospital and Philips have teamed up again to launch the first-of-its-kind cath lab in the UAE equipped with the latest therapy platforms to further strengthen the hospital’s outstanding care and grow its service line. 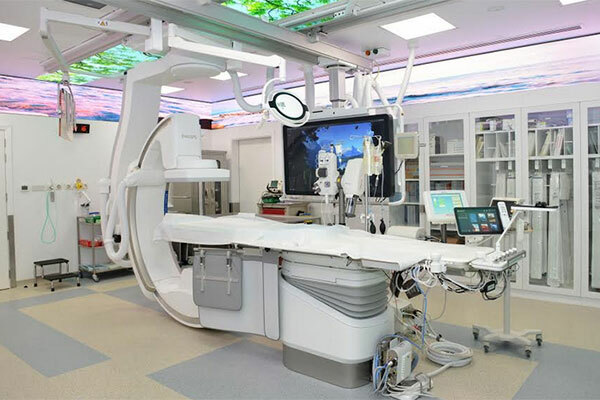 The lab will be the second interventional therapy lab to open at Zulekha Hospital Dubai following the launch of the Philips Azurion 7C20 ceiling mounted platform. Philips Azurion 7 is the next generation image guided therapy platform that allows procedures to be performed easily and confidently, helping to optimise lab performance and provide superior care. This advanced technology enables the hospital to unite clinical excellence with workflow innovation. Marc Antoine Zora, UAE & Iraq area manager and Manoj Arora, IGT business and clinical marketing manager, MET at Philips joined by founder and co-chairperson Dr Zulekha Daud, co-chairperson Zanubia Shams and Taher Shams, managing director of Zulekha Healthcare Group inaugurated the new Cath Lab. “Philips is able to provide us with cutting-edge technology to serve the community better, and we’re pleased to be collaborating with them in order to make a positive difference,” he concluded. The future proofed platform along with its highly skilled clinical team enables Zulekha Hospital to expand its care towards neuro-interventional radiology procedures required by various patients. The integrated system allows concurrent access to a range of modalities along with current and previous patient status reports to help make clinical decision making faster.